A good friend of mine, Daniel Waisberg, and I were discussing how organisations are reluctant to invest in their Google Analytics setup – be it implementation, training & education or insights/consultancy. Our conclusion was, that is difficult to get even the richest of companies to invest in a product that is free. The perception is that everything else that is required to make it “work” i.e. all of the above, should also be free. Of course the new GA Premium product changes this a great deal – though that is very much aimed at large enterprises i.e. Fortune 500 types. That group aside, why is it an organisation will pay tens of thousands of pounds on a CMS platform or CRM solution, but fail to see the opportunities of investing a similar amount (or less!) in their web analytics? As I wrote in an article last year, the hard part of web analytics is gaining insights form your reports when all you have is the basic setup. You must go beyond the basics if you wish your measurements to actually impact your business. With this in mind, I asked Daniel to write a guest post on what it takes to get your GA implementation up to the next level. Below is a 10-point check list he recommends for both beginners and advanced users. You want your Google Analytics account to serve as a solid tool for your website measurement, analysis, and optimization. After all, you are taking important business decisions that will affect your online performance, based on that data. Can you afford to rely on partial, inaccurate or otherwise misaligned data? You must have your tool properly setup to meet your website goals and your tracking needs. Below I provide my tips on common technical configurations that you should check. A default implementation will provide you with information regarding your visitors. However, the techniques below provide you with the level of data accuracy and insight so that the tool will serve its ultimate purpose: improve conversion rates. This *should* be a simple task if you follow Google Analytics recommendation: “copy and paste the code snippet into your web pages”. However, commercial sites are more complicated than a handful of pages, so if you manage a complex website be sure to check the Google Analytics App Gallery Site Audit section, that contains numerous solutions for automatic tag checks. Cicero wrote that “a room without books is like a body without a soul“. The same is true for website goals: a goal is the soul of a Google Analytics account. No analysis will provide valuable insights if you do not measure your goals. Here is a handy guide on how you can set up your goals. Most often, websites are visited by a wide range of people. However, it is also visited by the your employees and service providers – and these are not the visitors you want to understand and optimize for. Therefore, create filters that exclude the IP range used by your organisation and its service providers such as web development and marketing agencies. This will highly increase the accuracy of the data, especially for small and medium websites. If you cannot distinguish between your own staff behavior and your customers’, how can you optimize for a better customer experience? Note that the difference is marginal for overall traffic (except for small sites), but the impact is much greater when it comes to goal completion. One of the interesting insights we can learn from Google Analytics is the content consumption patterns and navigation between website pages; you can find this information in the Content section of your reports. However, websites can use unique URL parameters to refer to the same page. For example, a session ID. Google Analytics considers two URLs with a different parameter as two distinct pages. If your content is not unique for these parameters, remove them from your reports. Luckily, there is a very simple interface that can be used to do this. By doing this you will join pages that might be considered different by Google Analytics. See screenshot below, it shows where to find this field on the settings of your account. It is a common practice to use subdomains and multiple domains in order to organize the content and properties of an organization. Unless setup correctly, this can decrease data accuracy and prevent data streamlining, especially when it comes to traffic sources, new and returning visitors, and custom variables. Use this guide to configure your Google Analytics if your site spans multiple domains or subdomains. Two very important metrics are Bounce Rate and Time on Site. Therefore, it is fundamental to understand that both are influenced by the last action (not last page) taken on the website. For example, a visitor lands on a page with a Flash video, watches it to completion and then leaves the website. For a default Google Analytics implementation, this visitor will be tracked as a bounced visit. This is because Flash requires a special tracking code (read more). Virtual Pages: these show in the Content > Pages report. All metrics attributed to a regular HTML pages will also be attributed to virtual pages. Event Tracking: this method is useful for user actions that are not comparable to a pageview e.g. clicking on “play” for a movie, rating an article, adding a product to a shopping cart. It is shown separately in a different interface (Content > Events) and has a powerful anatomy to categorize events. An excellent way to understand a visitor’s intent is to study their search terms used on your internal website search; they show what potential customers are looking for on your website. A proper setup of the GA’s internal search function will help website owners understand which content is being searched for, which searches are yielding irrelevant results and which ones are helping the conversion process. Use this information to create a more relevant experience to visitors by exposing high converting content in strategic places and by adding content that is interesting to visitors (based on the fact that they search for it on your site), but not currently available. Most websites use multiple acquisition methods: PPC campaigns, display banners, affiliates, email marketing, social network interactions etc. However, by default, Google Analytics will only recognize organic search, referral sites, and direct visits. 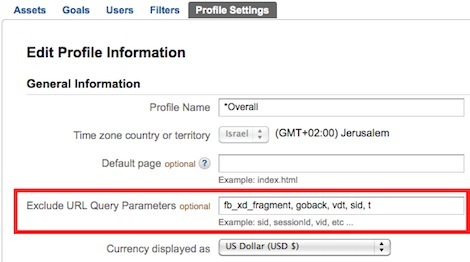 For the other traffic sources to show in your reports, you need to modify the landing page URL so that GA can detect and categorise it properly. If you are an Adwords advertiser, Google has an out-of-the-box integration that will enable advertisers to analyze everything from impressions, to clicks, costs and conversions from inside Google Analytics. 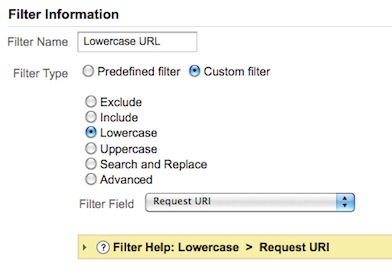 If you distribute content through RSS, use the Feedburner integration with Google Analytics. Another important opportunity to take advantage of when creating landing page URLs, is Social Media. If your company has a YouTube channel, a Facebook fan page, a LinkedIn group or a Twitter account that shares links pointing to your website, ensure you setup your campaign tracking parameters for them. A good example is LinkedIn: if you use this network to post articles linking to your website, optimally you would add a different tag for each group you post to, this way you will better understand which audience responds to your content the most. Recently Google launched Multi-Channel Funnels, a pilot beta that will “improve Google Analytics marketing measurement capabilities as it shows what really works in terms of online marketing campaigns, be it Adwords, Youtube, Facebook, banners or any other acquisition channel.” This feature will uncover a whole new dimension when it comes to traffic sources and campaign success. It will show to website owners not only the “winning sources” but also those sources that have assisted them. Just like an offense soccer player cannot win without a good defense, the same is true for high converting traffic sources. However, Multi-Channel Funnels reports will only make sense if you have followed the campaign tracking guideline I discuss here. Quoting Avinash Kaushik “Averages have an astonishing capacity to give you average data, they have a great capacity to lie, and they hinder decision making.” Most Google Analytics default reports present aggregated data, i.e. the overall visitor behavior. However, the average is not representative when analyzing a website as a whole – each segment is likely to have a significantly different behaviour to the average. Therefore, it is essential to segment your data to extract insights and actionable data (as Avinash wrote in a recent post, Segment or Die). Here is a list of 13 advanced segments to get started with. The techniques provided above will bring your data closer to perfection. That is, if you apply all of these implementations changes, your GA data is more accurate. Congratulations! Now you can start working on enhancing the data you are receiving by implementing Custom Variables, tracking Ecommerce and other cool stuff. One other reference, check out Improving Online Conversions for Dummies – an online book written by the Google team that goes over the important Google Analytics issues and many aspects on how to optimize marketing campaigns and improve the conversion rates of a website. This guest post was contributed by Daniel Waisberg, Founder of Conversion Journey, a Google Analytics Certified Partner, and of Online Behavior, a Marketing Measurement & Optimization website. Great post, Google Analytics and web analytics in general is so important. A great tool to also check out is analyticstester.com , which checks if Google Analytics is properly set-up on any site. After you put in a URL, it generates a report that shows a summary, itemized list of problems, and even opportunities for improvement with your Google Analytics installation, for free! Thanks a lot for your summary. Wonderful post, Daniel! I’ve been noticing a lot lately that there is a lot of confusion when it comes to properly setting up a Google Analytics account. I actually recently built a free tool to help with the matter that you may find interesting called GA Config (www.gaconfig.com). The idea behind it builds off of your post, there are so many advanced ways you can see what your visitors are doing, you just need to set everything up to get the data. This is a great resource, thank you. Now I’ve got a definitive post to point people at when they ask me what their first steps should be. +1 for Gabriel’s point about always having a raw, unfiltered profile. It’s vital to be able to cross-refer and sanity check new filters or parameter exclusions to be sure that the processed data makes sense. With reference to point 3, excluding internal users: if you are an ecommerce site where the contact centre use the same site to place telephone orders from customers it would be wise to do more than just filter out those users by IP address. As you point out, when it comes to goals, and even more the case with ecommerce revenue, internal use can really skew the figures. I would recommend getting expert advice in this situation and consider modifying the ecommerce traffic to either disable ecommerce tracking, track them to a different GA web property, or identify them with variables so that you can clearly see both sets of ecommerce data. This is an unusual situation, but I have come across it and the result can be very messy if you don’t get it right. You’ve forgotten to recommend the most important thing when setting up a new GA account. Always always always keep an unfiltered raw data profile. This is future proofing your account against bad filter mistakes. To scan your site for missing code I would recommend ScreamingFrog, not the free version unfortunately – screamingfrog.co.uk we use it all the time and are surprised at how frequently random pages aren’t being tracked!